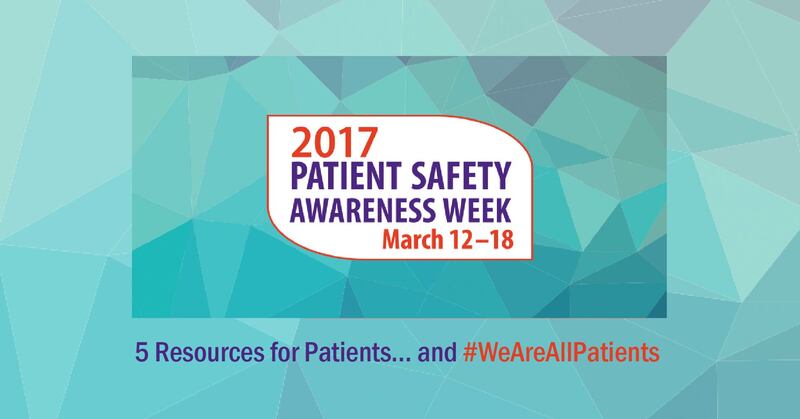 The organization that brings us the Patient Safety Awareness Week campaign, the NPSF seeks to "Create a world where patients and those who care for them are free from harm." Their mission is to "partner with patients and families, the health care community, and key stakeholders to advance patient safety and health care workforce safety and disseminate strategies to prevent harm." This organization has several educational and outreach programs, including the AskMe3 campaign and the International Patient Safety Congress. "The Agency for Healthcare Research and Quality's (AHRQ) mission is to produce evidence to make health care safer, higher quality, more accessible, equitable, and affordable, and to work within the U.S. Department of Health and Human Services and with other partners to make sure that the evidence is understood and used." This agency administers the Patient Safety Network and a number of other organizations keeping these goals in mind. "An independent, not-for-profit organization, The Joint Commission accredits and certifies nearly 21,000 health care organizations and programs in the United States. Joint Commission accreditation and certification is recognized nationwide as a symbol of quality that reflects an organization’s commitment to meeting certain performance standards." Their National Patient Safety Goals are recognized as key benchmarks in the healthcare industry. The Institute for Healthcare Improvement is a not-for-profit organization helping to lead the improvement of health care throughout the world. It was founded in 1991 and works to "accelerate improvement by building the will for change, cultivating promising concepts for improving patient care, and helping health care systems put those ideas into action." " The VA National Center for Patient Safety was established in 1999 to develop and nurture a culture of safety throughout the Veterans Health Administration. We are part of the VA Office of Quality, Safety and Value. Our goal is the nationwide reduction and prevention of inadvertent harm to patients as a result of their care." For more resources about patient safety, check out a few of our past blog posts about safety, advocacy, and education!